Yum. I love to eat it. I love to drink drinks with it in it (hello Caramel Frapp). I love to wear the color. I just love it. I’m talking about caramel! 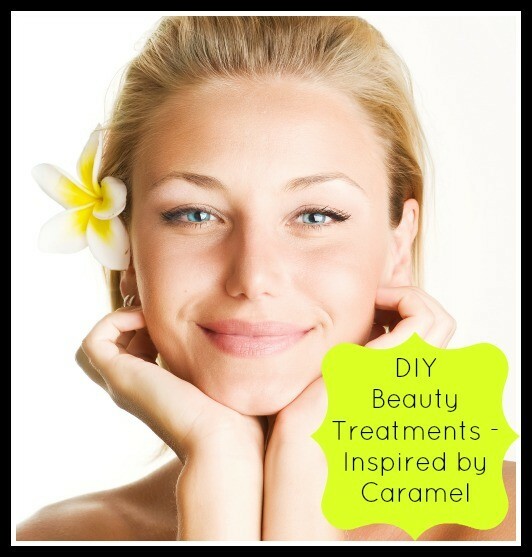 If you would like to get that golden summer glow from head to toe, I have a couple of DIY beauty treatments inspired by caramel courtesy of MODERATION NATION Good Life Gurus HowDoesShe and Hershey’s Simple Pleasures. 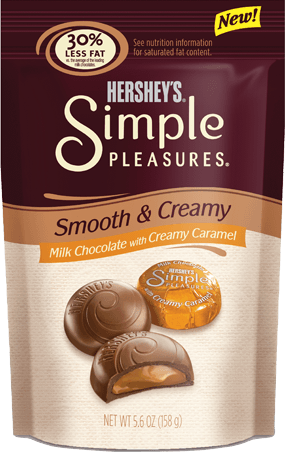 For those of you who love caramel as much as I do, you’ll be pleased to hear there’s a new Hershey’s Simple Pleasures flavor – creamy caramel. I’ll take a bag or two of those please! 1. Mix all the ingredients together and apply to the face in circular motions to exfoliate the skin. 2. Leave the mask on for 15 minutes then rinse with warm water. 3. Follow with a mild cleanser. Brown sugar exfoliates and hydrates the skin. Honey prevents skin dehydration and is also a natural antiseptic. Oatmeal removes dirt and oil from the pores. Milk’s amino acids moisturize and smooth the skin. Pour the mixture through a strainer and into a saucepan. Place the pan on medium heat and stir constantly until the mixture forms a thick batter (you may need to add water during this process to get the consistency you want). Let the mixture cool and divide your hair into 3-4 sections, each secured with a clip. Apply the cooled mixture to your hair, starting at the roots and then spreading down to the ends. Once your hair is completely coated by the caramel treatment, cover it with a plastic hair cap and let it sit for 1-2 hours (or overnight for extra dry hair). Wash, condition, and style your hair as usual. You can freeze the extra mixture for future use. Your hair will love its soft, gorgeous makeover.